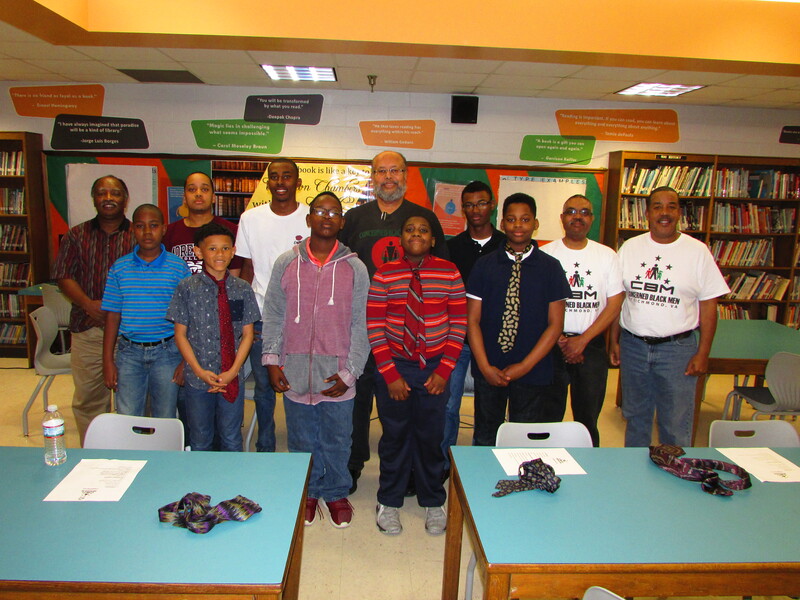 The Concerned Black Men of RVA recently conducted our Etiquette Pt1 event. The event was held on Saturday the 14th at Franklin Military Academy. 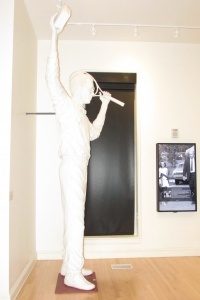 It is a prerequisite to the LaGrotta Ristorante fine dining outing that will be in May. We discussed proper dress, table settings and how they are expected to conduct themselves in this type of environment. 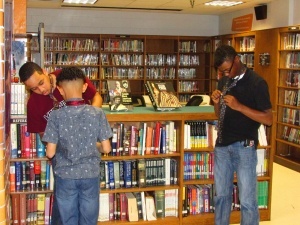 The Concerned Black Men of RVA have been doing this since 2011 and have progressed to a point where the mentees are instructing each other on how to tie neckties! We also played the movie “Courageous” which illustrates choices, consequences and fatherhood. This is the 2nd time we have shown this movie to our mentees and it was received very well. Afterwards the boys were treated to lunch at McDonald’s. We would like to again thank each of you who have donated to the Concerned Black Men of RVA. Your support is an integral part to the success of our mission. We strive each month to engage our youth with life enhancing experiences that will assist them in all their future endeavors. Your support means the world to the youth that we serve! 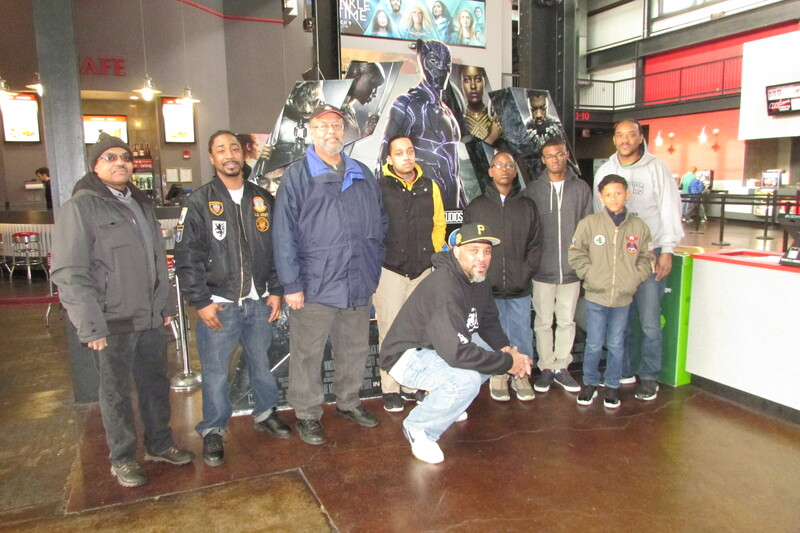 The Concerned Black Men of RVA visited the Bowtie Cinemas for our March activity. All of our youth received a complimentary ticket to see the iconic movie “Black Panther”. Winford Hill (a former mentor) graciously paid for each youth in attendance. Also in attendance was Joseph Taylor (a former mentee and son of Alex Taylor). Some of the mentees had already seen the movie but were eager to view it again! 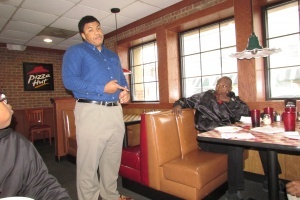 After the movie, we had lunch and a rap session at the Pizza Hut Midtown on Davis & Broad Streets. Joseph Taylor addressed the youth on the importance of the values that the Concerned Black Men of RVA are instilling in them through various programs each month. He relayed how CBM’s Public Speaking activities helped him to confidently handle the requirement and he was selected as a leader of a group project at ECPI. CBM of RVA sends a special thanks to each of you for your contributions. Your donations have aided us in our endeavor to influence our small group of young men in a positive way. We thank you for your support; it means the world to us and the youth that we serve. The Concerned Black Men of Richmond recognized “Black History Month” by visiting the Black History Museum & Cultural Center of Virginia. We toured the museum on Saturday February 17th with 12 youth and 9 mentors. There were 2 floors filled with examples of black men, women and children from Virginia that changed our country as well as the world. 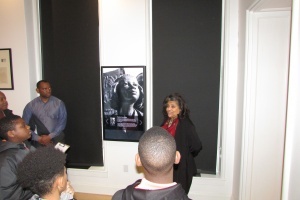 The tour was conducted by Mary C. Lauderdale, the Visitor Services Manager. 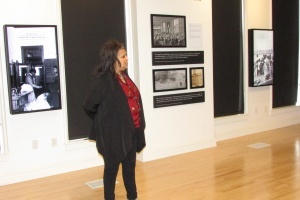 She is very passionate and knowledgeable about each exhibit at the center. 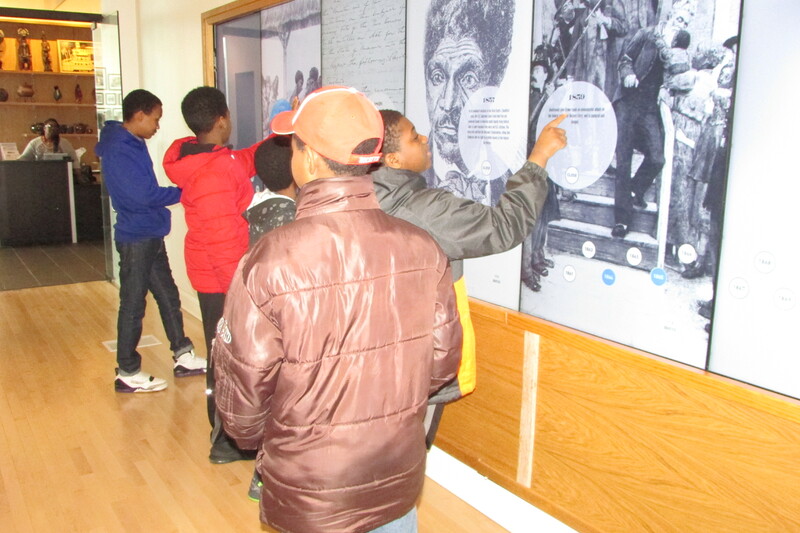 There were a number of interactive displays that were fun as well as educational. The tour lasted roughly an hour and the boys were very engaged. Ms. Lauderdale shared a very interesting story regarding Arthur Ashe. She explained how England sent a delgation to Richmond to see what we were doing to commemorate the Silver Anniversary of Mr. Ashe’s Wimbledon victory and that nothing was being done! 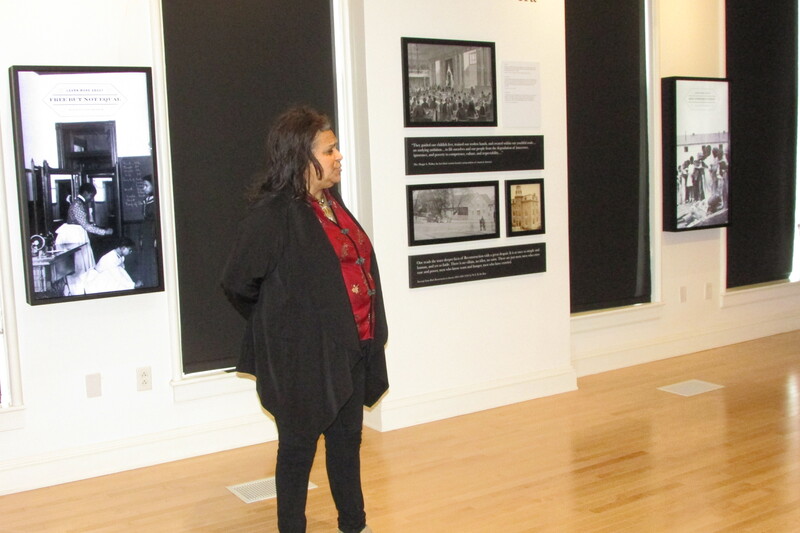 She took time to share anecdotes at each of the displays and captured the attention of everyone. 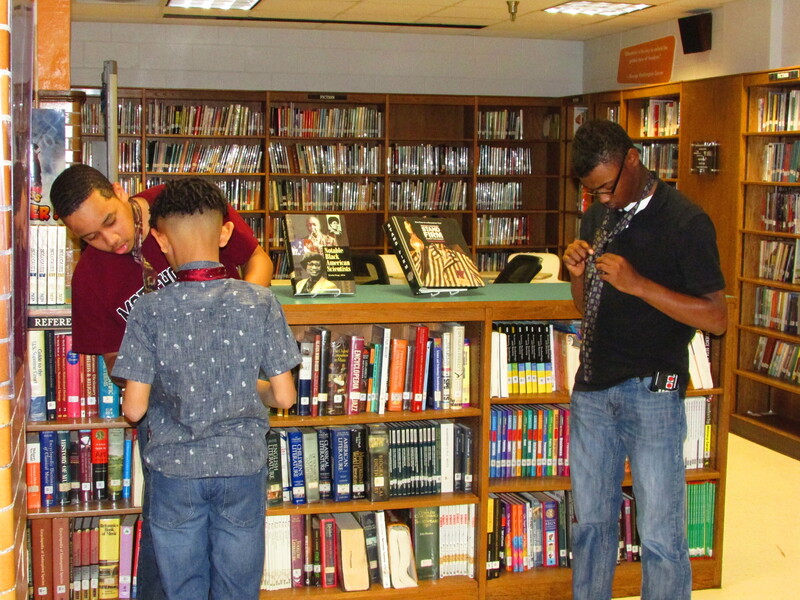 The Concerned Black Men of Richmond strive each month to stimulate the imaginations and aspirations of our youth through activities such as this. Thanks to caring people in the community and beyond such as yourselves, we continue show our mentees that their possibilities truly are limitless. Again, thank you for your support. It means the world to the Concerned Black Men of Richmond and the youth we serve.